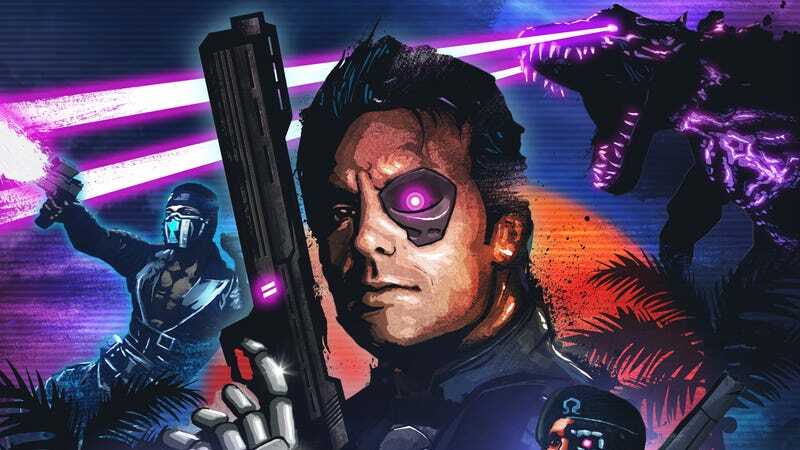 Beginning on November 9, and for the next month thereafter, Ubisoft is giving away free copies of Far Cry 3: Blood Dragon on PC. It’s very good. Built on the bones of Far Cry 3, Blood Dragon starred Michael “WHAT DAY IS IT WHAT YEAR” Biehn, and had enough neon pink to give me Vice City flashbacks. The game will also be part of Microsoft’s Games With Gold program starting November 15. UPDATE: Added date of availability, headline changed to reflect this.